Iran will hold a large-scale military drill involving all its air defence systems next month, an Iranian commander was quoted as saying on Saturday, one of a number of military simulations it has carried out this year. The air defence drill will include fighter jets and simulate emergency situations, said Farzad Esmaili, commander of the Iranian army's air defence force, according to Iran's English-language Press TV. The drill will include both the army and the Islamic Revolutionary Guard Corps, Esmaili said, and follows a series of large-scale military simulations such as the 'Great Prophet 7' missile exercises in July. Israeli leaders' warnings that time is running out to halt Iran's controversial nuclear programme have raised concern they may order an attack on Iranian nuclear sites, though Israel has come under growing international pressure not to act alone. Israel and major Western powers suspect Iran is secretly trying to acquire the ability to produce nuclear bombs, but Tehran says its programme is for purely peaceful purposes. 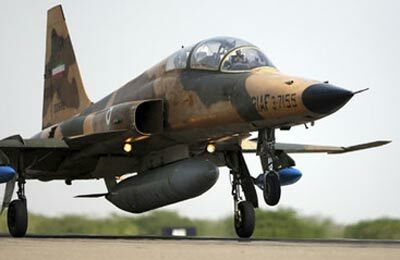 'Today our systems are prepared in a serious way for modern air threats, such that the performance of the systems compared to the previous profile has improved,' Esmaili was quoted as saying on Friday by the Iranian newspaper Hamshahri. 'The army air defence command's mission, with the development of the national defence mission and coordination between the armed forces, is to undertake appropriate operations against the threats of the enemies,' he said, without mentioning any country by name.